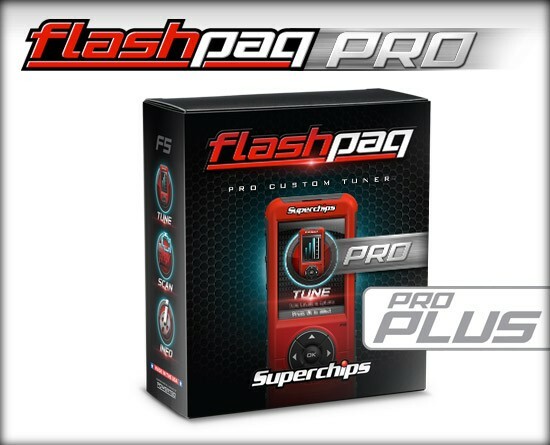 Custom tuning made easy with Flashpaq F5 Pro Plus! 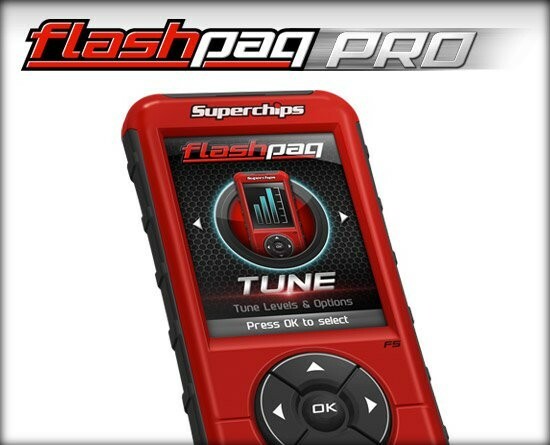 The Flashpaq F5 Pro Plus takes Superchips’ iconic Flashpaq transforms it into a vessel for loading custom tunes to your vehicle. Equipped with pre-loaded tunes, the handheld tool also includes space to load and store custom tunes. Pro Plus’ “drag and drop” loading option makes importing custom tunes from HP Tuners a breeze. Flashpaq F5 Pro Plus is the perfect option for any consumer or dealer looking for power out of the box, with room for custom tunes, down the road, from an HP Tuner dealer. Looking for an empty vessel with no tunes? Check out the Flashpaq Pro.